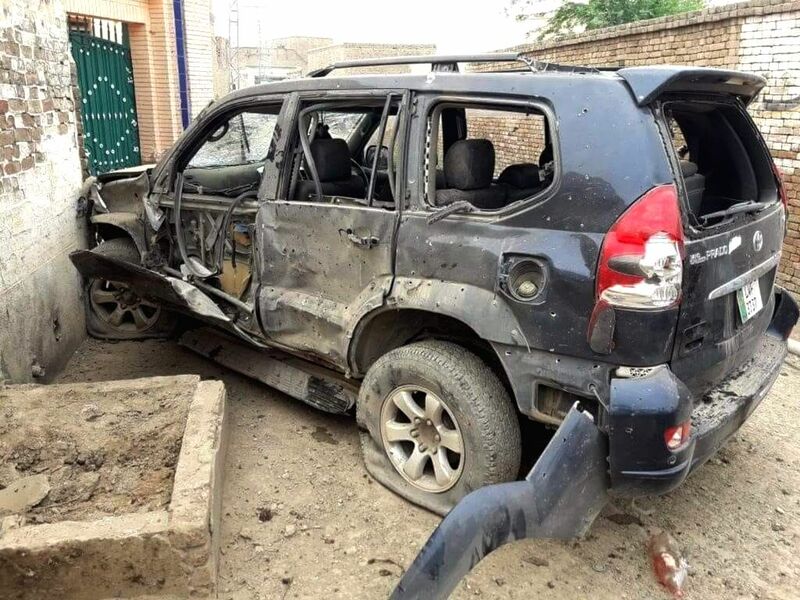 DERA ISMAIL KHAN, July 22, 2018 (Xinhua) -- Photo taken on July 22, 2018 shows a damaged vehicle at the blast site in northwest Pakistan's Dera Ismail Khan. At least five people including a local political leader were injured in a suicide attack at a political rally in Pakistan's northwest district of Dera Ismail Khan on Sunday, police said. 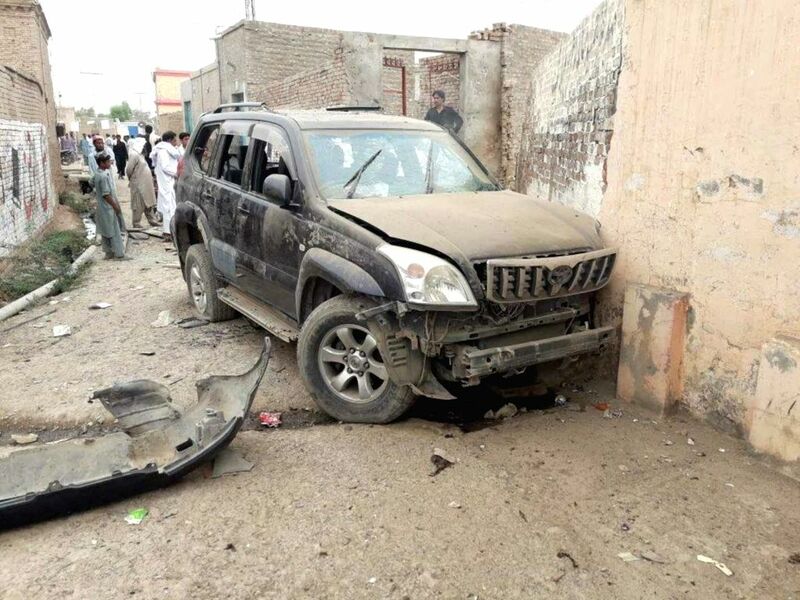 DERA ISMAIL KHAN, July 22, 2018 (Xinhua) -- People gather around a damaged vehicle at the blast site in northwest Pakistan's Dera Ismail Khan, on July 22, 2018.